Precision Garage Door Service of San Diego offers comprehensive solutions for your garage door repair problems. Your garage door might seem like a simple operation but, actually an automatic garage door is a major operation that incorporates mechanics, electricity, and many moving parts. What do you do when you run into a problem when you least expect it? Call Precision Door Service for an immediate garage door repair. We specialize in San Diego garage door repair and we are confident our services will fit your needs. We are San Diego garage door repair experts, and every member of our team takes that job seriously. You can expect thorough inspections and upfront answers about pricing when we arrive at the job. One of our professionals will diagnose the problem, express concerns, and offer a solutions that will repair the problem. Our technicians know how to precisely measure the door, calculate the weight, and identify the type of springs you need or have to give you an accurate quote. 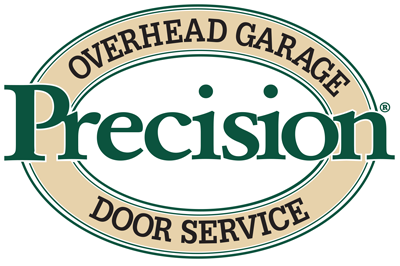 Call Precision Garage Door Service of San Diego for prompt service from experienced professionals! We respond to calls 24/7. Every garage door has heavy-duty springs that hold tension and power the opening mechanism. We are broken spring specialists. These springs are commonly called torsion springs and you typically will not find this type of spring in a home improvement store. Garage door users should not attempt to fix a broken or faulty torsion spring without professional experience because the springs can cause major harm if not fixed properly. Our company uses only the highest-quality, high cycle commercial grade springs available to ensure our customers are safe and receive the expected results. Fix it Right and Forget it!